A lot of plumbing issues are invisible. No matter how adept you are tending to your home, sometimes you just need to call in a professional. That is why Pride Plumbing is here to assist you with the dirty work of sewer cleaning and drain services in the Inland Empire, CA area. Hydro Jetting – – We guarantee hydro-jetting will clear stubborn clogs. A powerful jet of water blasts your clog completely out–and it won’t come back. Drain Cleaning – For smaller scale issues, Pride can restore the use of your drain in your kitchen, bathroom or any other room. Camera Inspections – What’s the hold up deep within your home’s plumbing? You can find out for sure with a camera inspection. 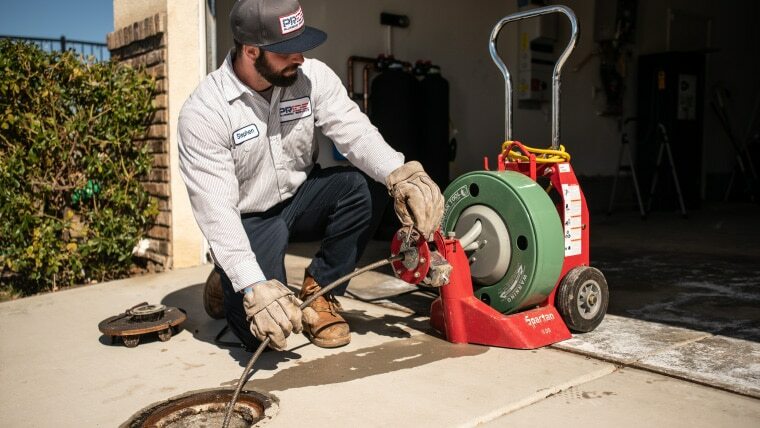 Below are a few signs that your sewer or drain situation might require help from a professional like Pride Plumbing. This is a sign of a pressure imbalance in your plumbing, usually due to a clogged pipe. When you flush, if you notice these unusual noises, it could be a bigger problem that simple plunging can’t fix. This is usually indicative of a mainline clog. The clog is so deep that it is affecting the network of drains instead of being isolated to one. You may notice when you shower that the water is accumulating at your feet. Or maybe when you wash dishes, the water is running faster than it can drain. A clog or vent blockage could be the cause. This is one of the more disconcerting signs. If you have sewer backup, the gasses will often become trapped in your home. Dirt can infiltrate the pipes and ascend to your drain if there is an invasive tree root issue. Reach us at 909-372-1239 for a company that takes PRIDE in superior work, excellent customer service and offers 24/7 emergency service. A drain clog or sewer backup may sound like a major problem. But with Pride Plumbing we help to minimize the pain and get your pipes cleaned out quickly and effectively.